At Nu-Hope Laboratories, it is our goal to help ostomates find the right products. We manufacture hundreds of different ostomy pouches and skin barriers, as well as dozens of medical accessories, including hypoallergenic adhesive roll-on adhesive, cloth pouch covers, instant absorption granules, and tape strips. Our custom ostomy support belts and hernia belts are handmade in Pacoima, California and come in 14 different options to suit your needs. To help you, we&apos;ve created a complete guide for Nu-Hope support belts with a step-by-step process on how to choose the best belt. Here are six frequently asked questions we receive about our belts. Q: Why is the ring belt opening larger than my flange size? A: For the best fit and comfort, the belt ring opening should be slightly larger around than the flange (skin barrier) size. 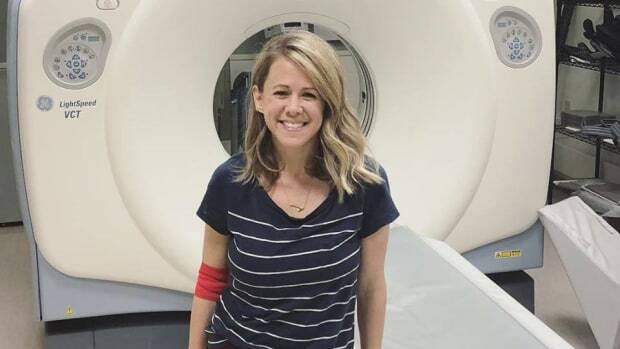 The flange will then sit just inside the ring, pressing on the adhesive tape area, which will also help the ostomy pouch stay in place against your body. Q: How is the Nu-Comfort belt different from other support belts? 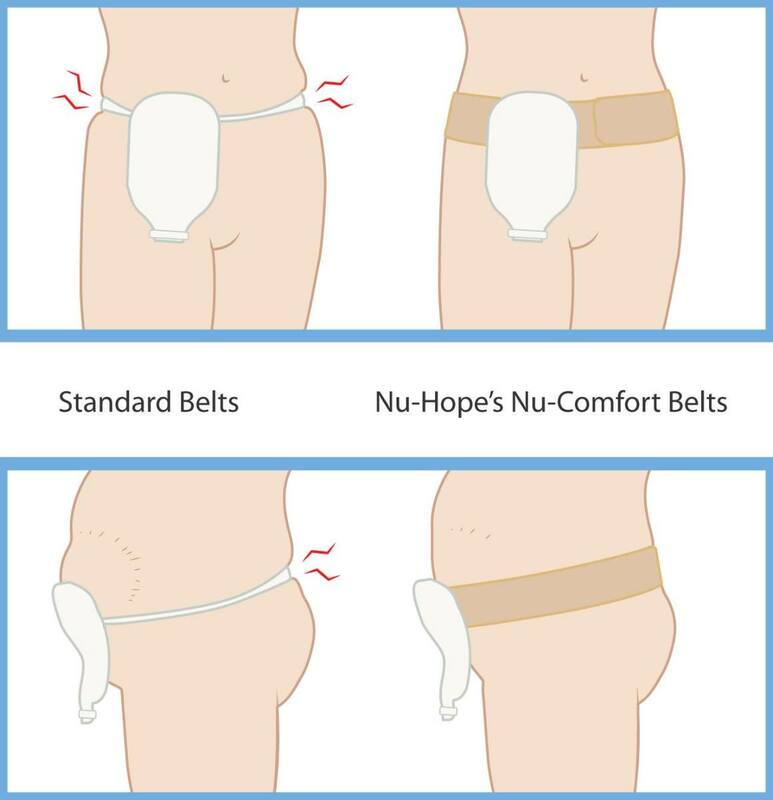 A: The Nu-Comfort belt substitutes traditional 1-inch wide ostomy belts by offering a 2-inch soft elastic band that won’t pinch and is gentle on your skin. The ring plate provides 360-degree support to the flange (skin barrier) and comes in five sizes (S-XXL) which fits almost any type of ostomy appliance. Q: How should I wash my Nu-Hope belt? A: For best results, hand wash your belt in warm water using a mild soap and let air dry. Do not use harsh detergent, bleach, a washing machine (even on gentle cycle) or dryer, since this could decrease the life of your belt. Your Nu-Hope belt will last longer if it is properly cared for. Q: What is the best way to choose the width of my belt? A: If you have a parastomal hernia, you&apos;ll first need to measure the area around the stoma. We recommend covering approximately 75-80% of the hernia. For example, if you have a 4-inch hernia, we recommend a 3-inch belt. For an 8-inch hernia, a 6-inch belt would work well. If you do not have a hernia, the smallest belt size will likely be most comfortable. Nu-Hope belt widths range from 3” to 9” and sizing information can be found on our website. If you think you have a hernia, contact your Wound, Ostomy and Continence Nurse or doctor. Q: Are Nu-Hope support belts covered by insurance? A: As a manufacturer, we don’t interact with health insurance companies. To find out if a hernia belt or ostomy support belt is covered, we recommend that you call your insurance company to verify medical claim information on your policy. 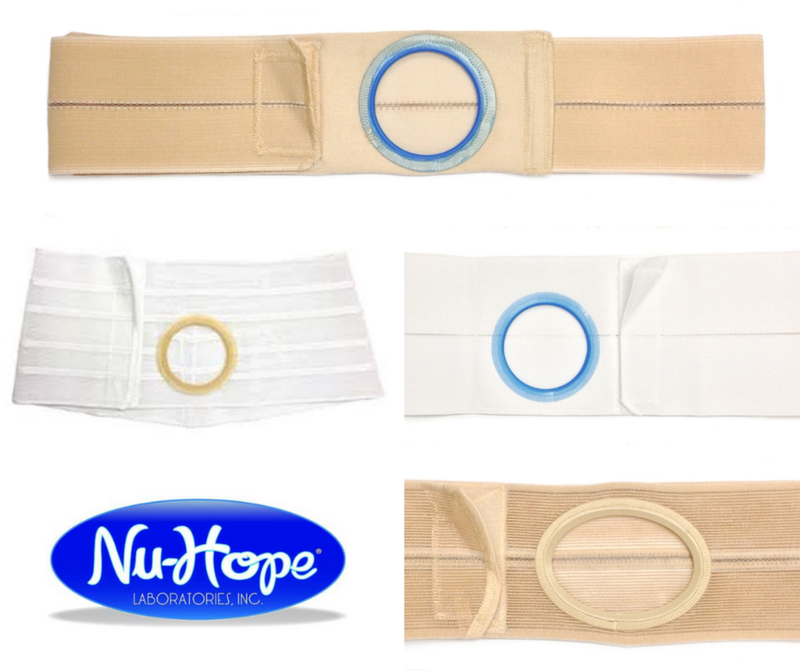 Q: Where can I order a Nu-Hope hernia or ostomy support belt? A: You can buy our belts directly from medical suppliers, such as 180 Medical, Shield HealthCare, and The Parthenon Company. Some suppliers who carry our products will work with your insurance company and others will only accept payments directly from the customer. 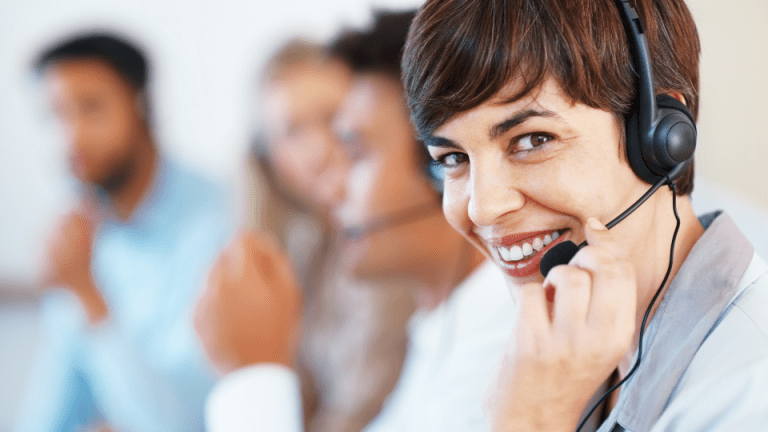 Our customer service team is available Monday through Friday from 8:00am – 4:00pm (PST) to answer your questions. Call us today at 1-800-899-5017 or send an email to info@nu-hope.com. We are here to help you. This article was made possible by Nu-Hope Laboratories. For our approach to sponsored stories, see our About page. Melissa is the Marketing Coordinator at Nu-Hope Laboratories, Inc.